Every year Cats Protection searches for extraordinary tales of the nation’s remarkable felines and 2019 is no exception. 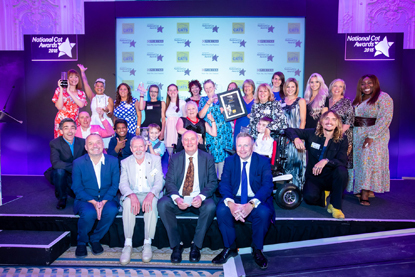 Entries are now open for this year’s National Cat Awards and you have until noon on Friday 8 March to nominate your cat for one of five categories – so you need to be quick! The awards are sponsored by PURINA® and a panel of celebrity cat-lovers will have the difficult task of selecting winners. The winning cats’ owners will then be presented with their trophies at a star-studded ceremony at London’s Savoy Hotel on Thursday 8 August – fittingly coinciding with International Cat Day. Theo followed in the paw prints of a long line of feline heroes honoured by Cats Protection. They include Genie, who helped schoolgirl Evie Henderson battle bone cancer; Tink, who saved her owners from a house fire, and Jessi-Cat who was celebrated for helping a seven-year-old boy cope with Selective Mutism. 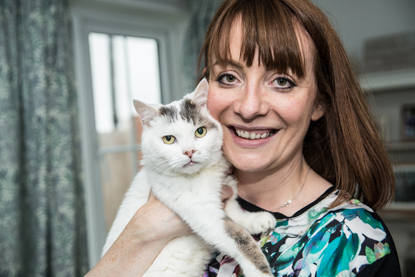 To hear more about what Andrew Collins thinks of the National Cat Awards, read his guest blog: That's not my cat!